Luxury Sedan MB S500 limousine. Marvelous and shiny silver outside and comfortable luxury inside. This car is perfect choice for some special coming to events or parties. This car will highlight Your individuality. Classic and elegance - these are words which describes this beautiful limo. Choose Rolls Royce phantom Super Stretch. It will be perfect choice for romantic and important celebrations in Riga. Feel the touch of vintage. Perfect limo for champagne showers. Try it into Mercedes Benz S Class Super Stretch. Charming car for charming people which will be suitable for effective event appearance in any situation. Solid, black and glamorous - Lincoln Navigator Super Stretch is excellent choice for private celebrations. 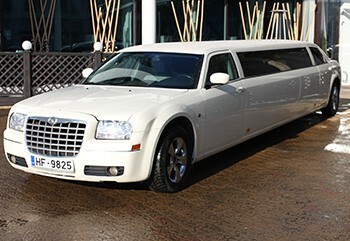 This black limo will make Your party in Riga unforgettable and ultra modern. This will clearly be Your right choice. Want to make Your appearance effective? We can offer You the perfect way how to do that. Shinny Hummer 2 Super Stretch will be the best companion for You and Your friends. It will make Your appearance impressive every where You will go. Maybach brand represents - style, comfort, smooth curves and technical brilliance. Dynamic and harmonious driving, exceptional design, powerful engine. Car for those people who desire to enjoy first class.